Ask any pest control professional and they will tell you; everyday in the field is different. From reptiles to insects to unwanted rodents, you name it, they’ve probably seen it. Sometimes, though, extreme conditions require creativity, ingenuity and a unique departure from the usual practice. Mr. Pat Markey, a 35 year pest control veteran and owner of the Alexander City, Alabama Orkin franchise, faced a similar situation in the fall of October 2013. Pat’s current customer who lived in Florida had recently purchased a second home in Camp Hill, Alabama. The home was in need of some renovations but first on the list was to rid the home of pests. Upon his initial inspection, Pat found his work cut out for him. This is not an uncommon scene for pest control technicians. Powder post beetles are a major problem for homeowners, second only to termites. Unfortunately, their damage is not usually detected until an inspection is done or people start to notice fine sawdust like particles (frass) and exit holes where adult beetles have emerged. UltraBan-PRO Works on Exterior Wood Too! “The Pest Control Expert“, Paul Hardy, retired Technical Director for Orkin Pest Control comments on why the Borate/UltraBan-PRO combination is so effective. The homeowner, Mr. Greg Gibson, commented on the effectiveness of UltraBan-PRO and Pat’s innovative ideas to solve the tough issues his new home presented. 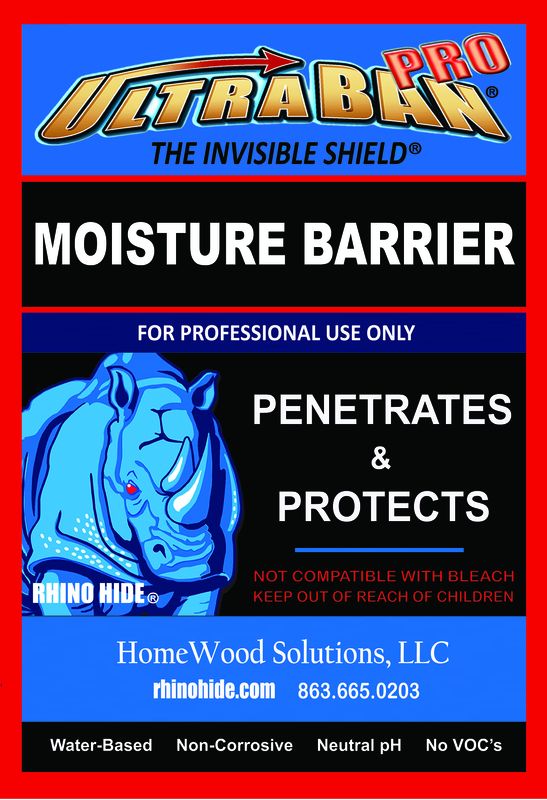 UltraBan-PRO was engineered to not only provide superior moisture protection, but combined with a Borate solution, it proves to be the most effective multi-purpose treatment for mold prevention and wood boring insect control. Are you an expert in crawlspace remediation or a leader in the pest control industry? Contact HomeWood Solutions today to learn how UltraBan-PRO can grow your business with real solutions that deliver results.